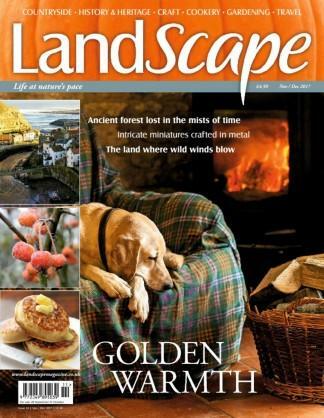 LandScape magazine reflects the interests of people living rurally or semi-rurally in the landscape and nature around them, the uniqueness of British traditional crafts, the satisfaction of growing and cooking their own food, and the joy of simple activities within their circle of family, friends and community. The magazine covers seasonal gardening, cookery, craft, people and places in the British countryside, and its nature. Each issue delivers a wealth of information in an easy-to-read style, with simple layouts and an expansive page allocation for each subject, illustrated with beautiful images. Be the first person to tell us what you think about LandScape (UK) and you'll save $5 on your next purchase!